People know Philip Setzer as one of the violinists of the Emerson String Quartet. 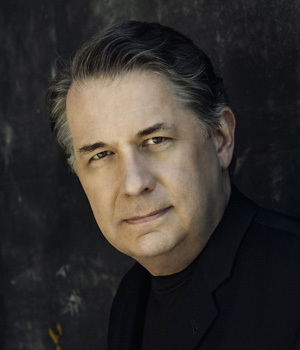 But Setzer also simultaneously maintains a busy career as a soloist and recitalist and, more recently, as part of a trio with cellist David Finckel (his former Emerson colleague) and pianist Wu Han. This week Setzer is in Salt Lake City as resident artist at the University of Utah’s Chamber Music Workshop. Tuesday he played a recital in Libby Gardner Concert Hall accompanied by Utah Symphony pianist Jason Hardink. It was a well chosen program that featured three of the 20th century’s major composers – Charles Ives, Béla Bartók and Maurice Ravel – and included a work by Ludwig van Beethoven. The recital opened with Ives’ Largo, a piece in which the composer shows his romantic side. Setzer and Hardink brought out the lyricism of the music without overdoing it. It was a beautifully crafted and executed account. Also in the first half was Ravel’s rather infrequently performed Sonata for Violin and Piano. The sonata is an interesting work in Ravel’s catalogue. It has all the elements that define his music, notably jazz and impressionism, but without a cohesiveness that holds the three movements together. Nevertheless, it’s a delightful work that captivates its audience with its uniqueness. Setzer and Hardink brought a light touch to the effusive opening movement with its hints of impressionist harmonies. Their playing was nicely textured and articulated and allowed them to bring out the subtleties of the music. The second movement is Ravel’s stylized take on the blues. The two played it with fluid lines and seamless phrases that let the music speak for itself. The finale is a wild ride. With its restless drive it requires nimble playing and Setzer and Hardink gave a dynamic account that captured the rhythmic vitality of the music. In between these two works, workshop director and U. faculty member Hasse Borup joined Setzer for a selection from Bartók’s 44 Duos for 2 Violins. There is a wide variety of music in these pieces. Many have folk elements in them and all are colorful and at times exotic. Setzer selected eight that ranged from virtuosic to lyrical. These are fairly short pieces and show Bartók’s lighter side. Setzer and Borup gave a captivating account of these brief character pieces. Their playing was wonderfully crafted and executed and captured the vibrancy of each piece. The program ended with Beethoven’s Violin Sonata in C minor, op. 30, no. 2. The work is still indebted to classicism in its form and in its thematic and harmonic structure, yet it also contains some strong romantic leanings. Setzer and Hardink gave a luminous account that brought out the romantic passion of the music while preserving its classical restraint. It was a thoughtful, well conceived reading that was nuanced and balanced. As an encore Setzer and Hardink played Setzer’s arrangement of Franz Schubert’s simple yet eloquent song Du bist die Ruh.